The 2000-year-old Qila Mubarak in Bathinda is considered to have a shared legacy. Built by Raja Dab during 90-110 AD, the fort was ‘visited’ by Guru Gobind Singh in 1705. To mark this event, a small shrine was built inside the fort by the Maharaja of Patiala in 1835. 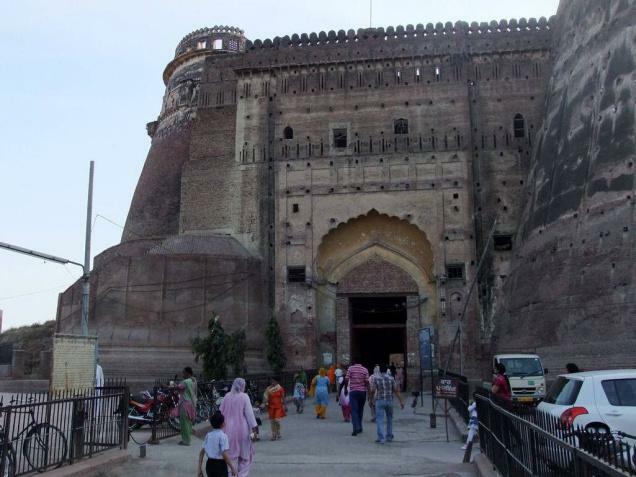 Built originally of mud bricks, the fort has a square plan with 32 small and four large bastions placed at the corners that stand witness to the history of its capture by warring luminaries like Mahmud Ghazni, Mohammed Ghouri and Prithvi Raj Chauhan. Being located enroute from the northwest, it was once called Tabar-e-Hind (gateway to India). It was here that Razia Sultan, the first and only woman emperor who ruled from Delhi, was incarcerated on her defeat at the hands of Malik Altunia, the then governor of Bathinda. Immortalised on-screen by Bollywood director Kamal Amrohi, Razia Sultan has remained a subject of many legends. Not only does she feature in an online comic strip, a piece of historical fiction entitled Razia: Queen of India has been in circulation, too. Since the location of her grave has remained a contested subject amongst historians and archaeologists, Qila Mubarak remains the only historical landmark reminding future generations of the heroics of this legendary emperor. For India’s only woman emperor, who ruled between 1236 and 1240 AD, the spirit of religion was more important than its parts. For being tolerant of other religions, Razia Sultan had run into opposition from the nobles. Should her legacy be made to face the same fate? Qila Mubarak surely deserves a better deal.